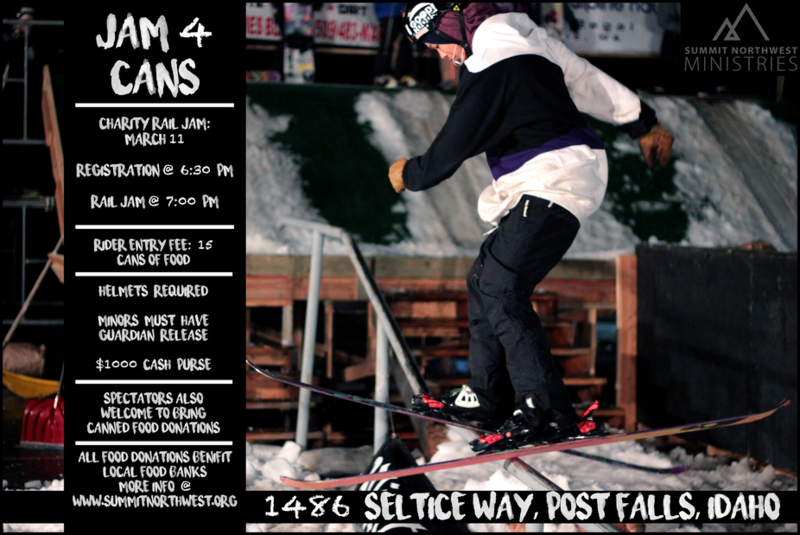 Jam 4 Cans is a rail jam open to skiers and snowboarders with the goals of collecting food for local charities and promoting a community awareness of their needs. Over the last 7 years we have collected thousands of pounds of food and raised thousands of dollars that were used by local food banks to provide for some of the less fortunate in our area. We have also managed to become one of the premier rail jam events in our area with a progressive setup and strong support from the local riding community. 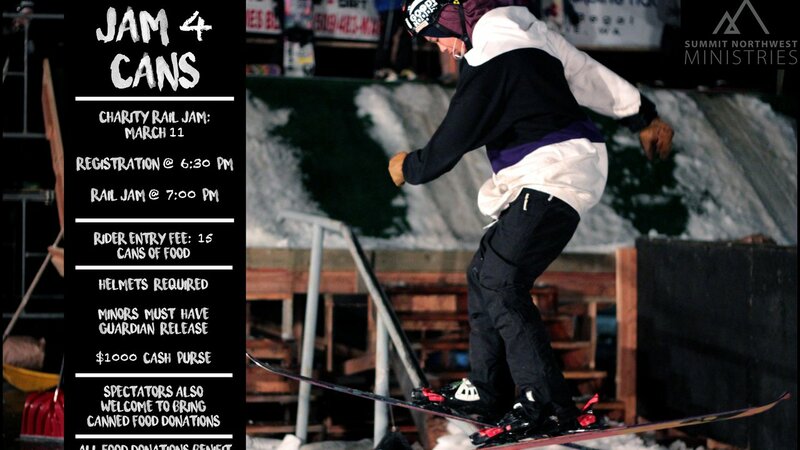 Come out for a night of shredding and help support our local community. Three feature urban setup with additional flatland features and the "money booter". Cash and swagg prizes. Instant replay giant screen for spectators and riders. HELMETS REQUIRED FOR ALL RIDERS. SIGNED RELEASE FORM ALSO REQUIRED, WITHPARENT SIGNATURE FOR THOSE UNDER 18.